A common question I am frequently asked: what is a certified elder law attorney? I will explain the overall steps to obtain and maintain the certification. I always explain there are many experienced, competent attorneys who practice in this area and can handle complex elder law issues and who are not certified. However, if you do not know where to look for guidance on elder law issues, a certified elder law attorney is a good place to start. There are 500 certified elder law attorneys in the United States. Being a Certified Elder Law Attorney (CELA) by the National Elder Law Foundation requires numerous qualifications for attorneys to meet. Among these qualifications are being an active attorney that has focused at least half of their practice in the elder law field for at least three (3) of the last five (5) years, show evidence of handling cases covered in numerous categories of elder law, pass a rigorous elder law exam with a low pass rate, and have a peer review of ethical and competent representation completed by other attorneys. Once certified, attorneys must re‐apply for certification every five (5) years. To maintain the Certified Elder Law Attorney status, attorneys must provide evidence of good standing and involvement in areas of their certification, meet a minimum of 75 hours of legal education since their last certification, and have references of at least three (3) other certified elder law attorneys. There are other certifications such as Board Certified Indiana Trust & Estate Lawyer, certified by TESB; an Indiana certification that also requires a process similar to the CELA. 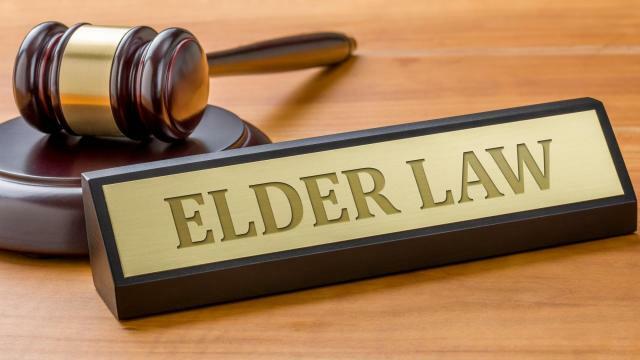 Also, the National Academy of Elder Law Attorneys (NAELA) is an organization that attorneys can join by completing an application that affirms that they have experience and knowledge in the area of elder law and pay an annual fee. Other certifications are by invitation only. However, if you are searching for an attorney to handle a complex elder law issue in any State, you can go to the www.nelf.org website and search quickly for a CELA. Other on‐line sources such as ratings by Google and other legal sites such as AVVO may or may not reflect accurately the ability and experience of an attorney in the area of elder law. Next Next post: Should I have long‐term care insurance?